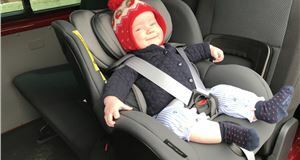 Joie produces a range of Group 0+ baby seats, but the i-Level is the most flexible and most expensive of the trio. 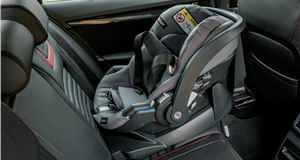 It's i-size compliant, which requires more side-impact protection and for the child to be seated facing backwards until they are at least 15 months old. 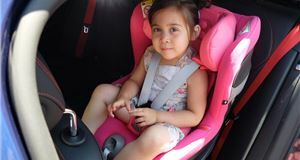 It also means that it can only be secured to the car via Isofix, so the i-Level isn’t suitable for those with an older vehicle that doesn’t have Isofix mounts. 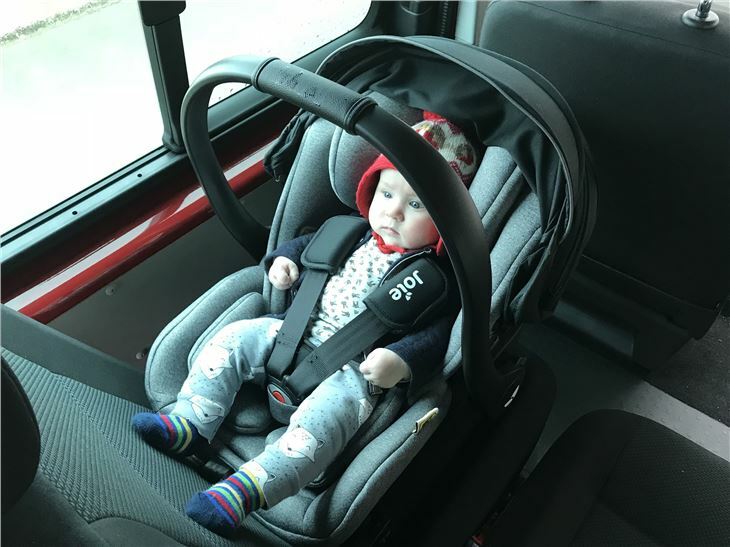 Unlike many infant car seats, the i-Level doesn’t just hold your baby in one fixed, slightly sitting, position. 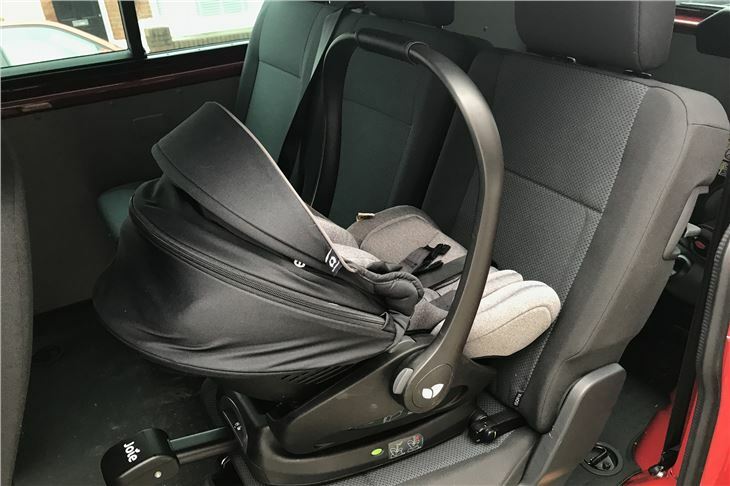 You can adjust it so your little one can lie flat, which could be a godsend for those that are out and about and want to lie their baby down to go to sleep. 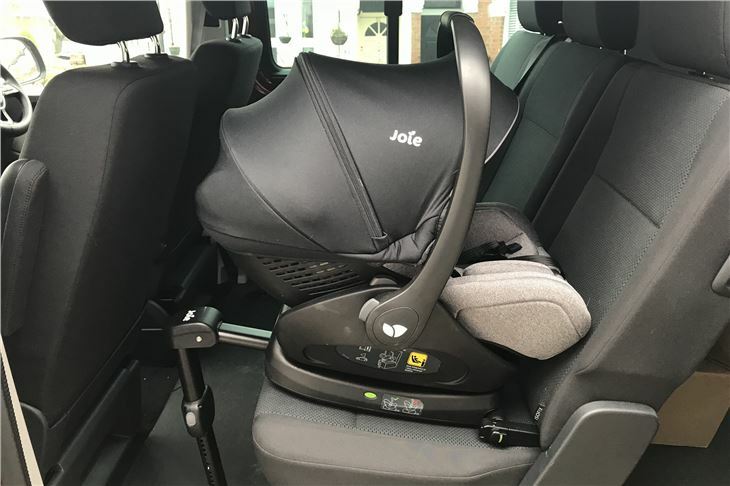 It also clips onto a number of travel systems – it’s designed to work with the Joie systems, but it will also slot onto adaptors for pram bases from the likes of Maxi Cosi, so you can mix and match if needs be. 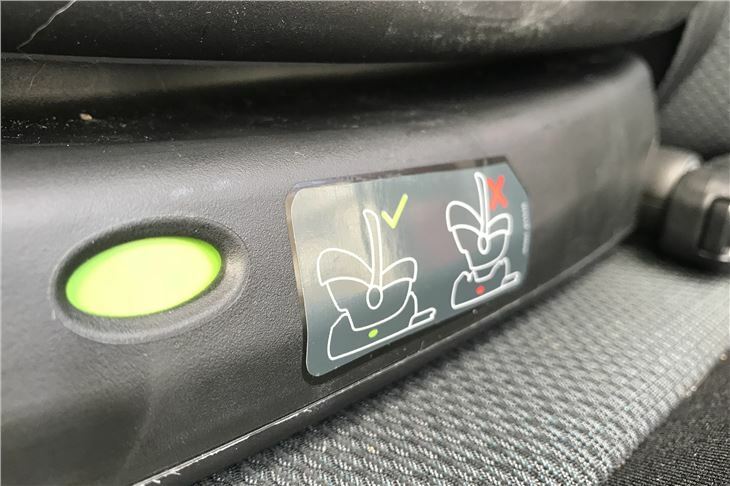 The Isofix base it comes with doesn’t have a rebound bar but does have a solid support leg and a pair of adaptors to mark out where the Isofix connectors are on your car – handy for slotting it in in a hurry and avoiding tearing seat fabric. 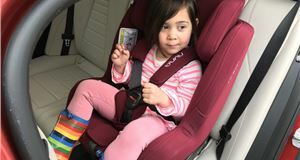 It isn’t the cheapest option, but you do get high-quality fabrics and memory foam, which should make things comfier for your small passenger. 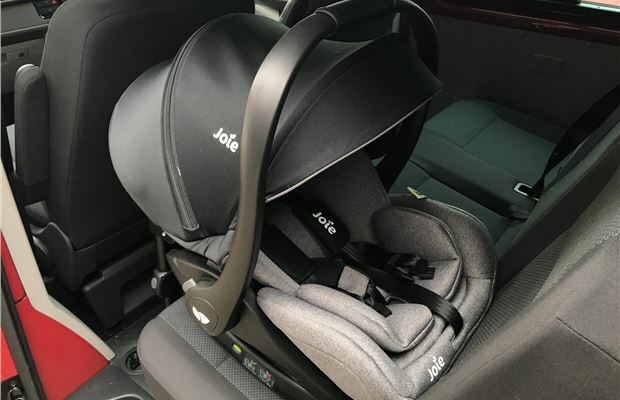 The Joie feels quite light straight out of the box, but as it is officially slightly heavier than rivals such as the Maxi Cosi Pebble, this is more likely down to the quality handle and decent weight distribution that help make it easy to pick up and move around. 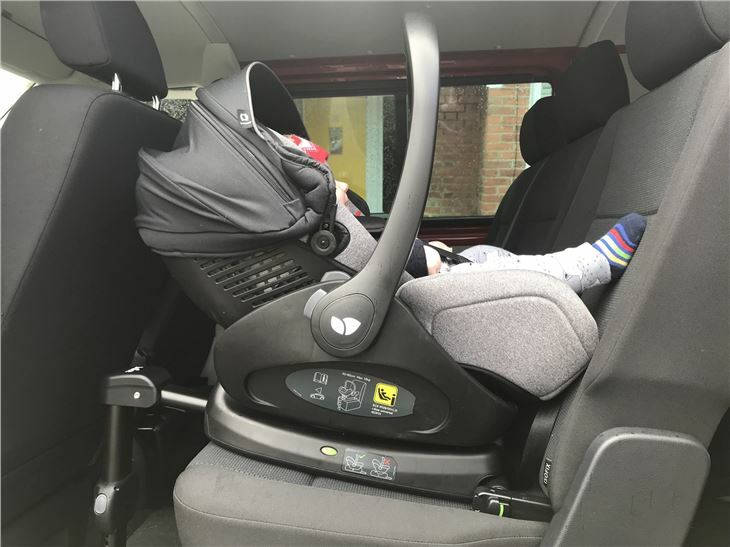 The base is wonderfully easy to fit thanks to a simple system that uses a basic analogue display to show when the Isofix clasps are engaged and the leg is seated correctly. There are simple displays that are red when it isn’t connected properly and turn green when it is in place. The only thing you have to do is make sure that the leg isn’t overextended and the base is flush with the seat cushion all the way forward, but that is simply a case of poking a hand underneath the base before you pop the seat on. The same system displays when the seat is properly engaged, but you’d be hard pushed not to notice the satisfying clunk that it makes. On first sight, the cushion for the baby’s head looks like it is restricted for space, with a very narrow slot that feels like it will hold their head still and not let them move around. This proved to be the case, particularly when our little tester Robyn was wearing her winter hat, but she never seemed too bothered by it. The memory foam of the cushion meant that the cushion had some give, but her head was kept in a forward-facing position despite any squirming. The straps are harder to adjust than other seats. The two buckles on either end of the straps take a bit of clasping to hold them together while you are trying to get them into the clip. A large amount of padding around the clip keeps things very comfy for the passenger, but it isn’t fixed so it can ride up and get in the way. Slackening the belts is a two-handed job, as you have to push a button at the front of the seat. This is tucked safely away in a hidden hole on the front so it isn’t easily reached by any other small passengers, but it isn’t obvious to those who aren’t familiar with the seat. The strap you pull on to tighten the belts gets tougher to pull on as you get closer to your child, so it doesn’t allow for easy minor adjustment if you are after a snug fit on a new newborn the plus side, doesn’t allow you to overtighten the straps, while the chunky shoulder pads make things very comfy when they are strapped in. The i-Level comes with a large cover as standard, which is much more comprehensive than those on some rivals. It doesn’t tuck away completely like the fabric one on the Maxi Cosi models but instead is attached by a couple of clasps on either side. It can be removed, but it also folds back so it stays largely out of the way. 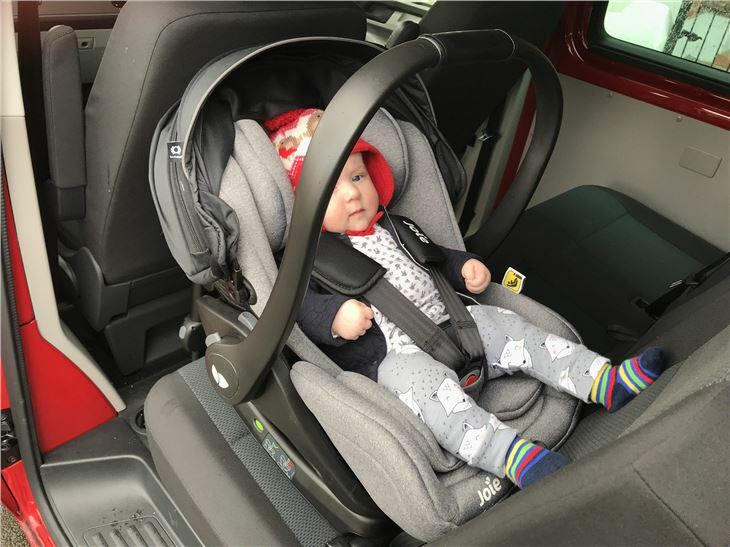 There is a handy zip running widthways across the middle that allows you to open it out further to give even more cover – it proved invaluable when caught out in an unexpected rain shower by almost totally covering our little one. Lying the seat flat is done by a simple lever but is best done while the seat is empty. It is possible with a baby in but isn’t quite smooth enough to guarantee that they’ll stay sleeping. There are seven stages of adjustment for the position of the head cushion, which means this should see a child comfortably through the first year of their life with minor tweaks as they grow. Again it is a simple case of pulling on a handle, so it can be played around with easily until you get the right position. Cosmetically, the i-Level looks and feels really good quality, with soft-feel fabrics and the chunky memory foam offering a reassuring level of support. You’d expect this for the price, although the strapping and buckle is the only thing that could be a bit better. There are three colours available - two shades of grey and a nice bright red. The i-Level is excellent in many ways, and great value given the safety elements it comes with. The high-quality materials and the comfortable memory foam means that this value isn’t kept tucked out of sight, though. What will tempt many, and rightfully so, is the ability to lie it totally flat – a position that is much better for small babies over a long period of time. If you are out all day and don’t want to take a carrycot, then the i-Level will be an excellent option. It’s also great at doing the basics, as it is very easy to fit, simple to carry and has an excellent cover. The only thing we’d like to improve is the strap adjustment system and the slightly fiddly buckle. 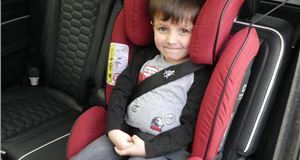 Other than that, it is a fantastic seat that will provide reassurance in and out of the car for the first year or so of a child’s life. 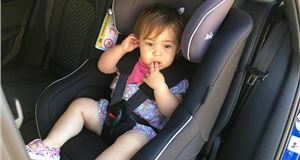 Car seat belts or Isofix – what’s safest? What is i-Size and why is it important to me?